While we hold denim near and dear to our little cowgirl hearts, we don’t like to sweat our butts off during the summer months! Thank the fashion gods for creating chambray fabrics. It looks just as rustic and chic as denim, but is light and airy so your skin can breath. That way you can be stylin’, profilin’ and comfy. 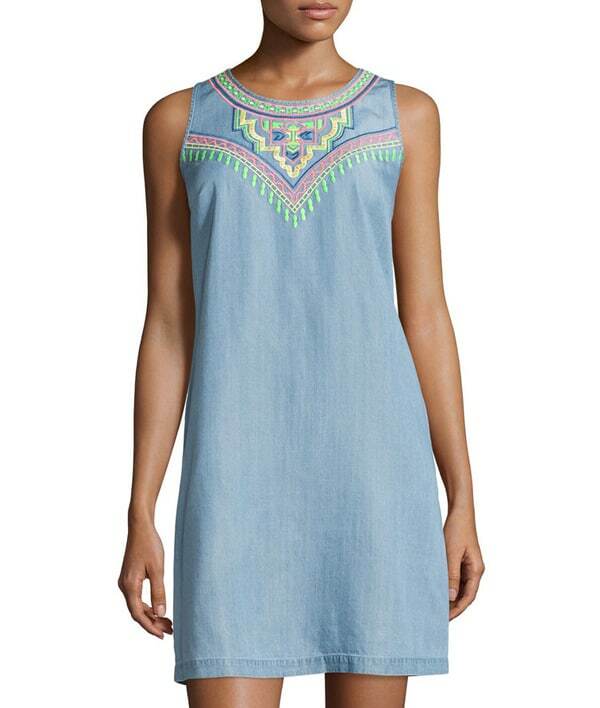 Having a simple chambray dress in your closet is a must, because it’s like a blank canvas. A cute blank canvas, nonetheless, but blank. You can throw on a pair of sandals and wad up your hair in a bun when you’re just not in the mood to get ready and you’ll still look just as cute as if you were to doll it up with a bunch of turquoise and your favorite pair of boots. I think of my chambray dress as socially acceptable public pajamas. Everybody needs one so check out these adorable chambray options.